Ships from the Russian Navy's Pacific Fleet and the Philippine Navy are holding naval drills in the South China Sea, Russian Pacific Fleet spokesman Nikolai Voskresensky has said in a statement. The weapon system, developed by the Russian company Rostec, was recently spotted on the Russian frigate Admiral Gorshkov by British media as it approached a Royal Air Force base. The Times described the weapon as being able to make opposing soldiers vomit, but its effective range is much greater. 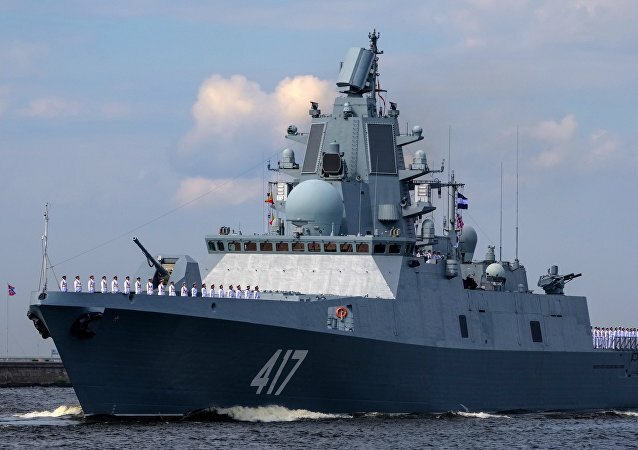 The Consulate General of the Russian Federation in Edinburgh dismissed claims made by Scottish newspapers that the Admiral Gorshkov frigate, equipped with guided Kalibr missiles, was sailing in UK territorial waters. 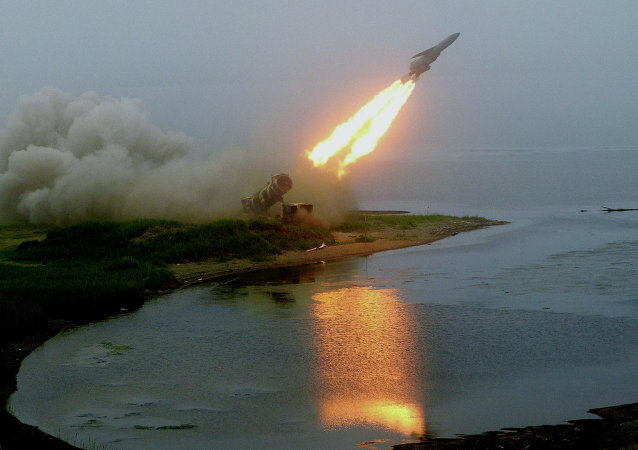 The development comes after the press service of Russia’s North Fleet reported on Tuesday that the Admiral Gorshkov frigate, equipped with guided Kalibr missiles, had entered the English Channel, in the Russian warship’s first such mission. MOSCOW (Sputnik) - The testing of the Russian shipborne Poliment-Redut air defence missile system for the frigates of the Project 22350 series has been completed, Commander-in-Chief of the Russian Navy Adm. Vladimir Korolev has announced. The Admiral Gorshkov, lead ship of the new Project 22350 series of frigates, will be commissioned in August, with Admiral-series vessels expected to become the backbone of the Russian Navy's ocean-going presence over the next decades. Military observers Andrei Kotz and Viktor Murakhovsky outline what capabilities the advanced vessels will offer. 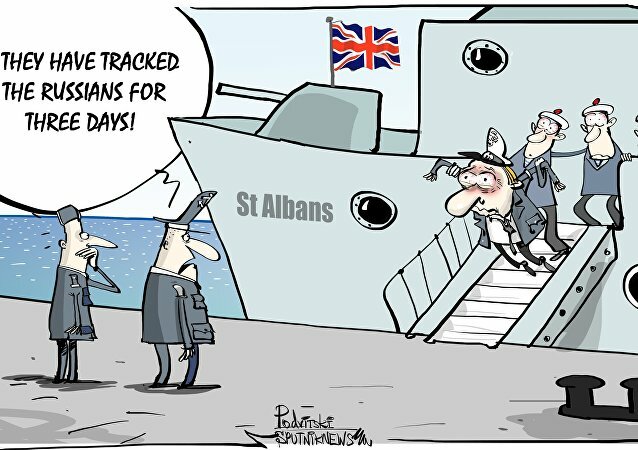 It seems like some people are too obsessed with an imaginary Russian threat, as a British frigate shadowed a Russian warship that was on an ordinary mission. The Admiral Gorshkov, a lead frigate of the Russia’s frigate Project 22350, will join the Russian Navy in November, Vladimir Tryapichnikov, the head of the Navy Ship Building Directorate of the Russian Defense Ministry said Tuesday. On Tuesday, Defense Minister Sergei Shoigu said that Russia is conducting tests of an advanced long-range surface-to-air guided missile. 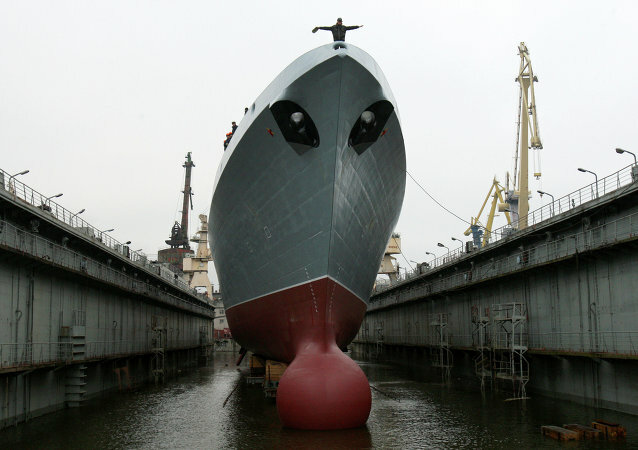 Tests of Russia's Admiral Gorshkov-class frigate will begin late next month, with plans to deliver it to the Russian Navy in July, the head of the United Shipbuilding Corporation (USC) said Wednesday. The Russian Navy will receive the new the lead ship of its class and the first Project 22350 frigate on November 22. The Russian Navy expects to receive six new Project 22350 frigates by 2025 with the lead ship of the class, the Admiral Gorshkov, currently undergoing sea trials, Defense Minister Gen. Sergei Shoigu said Wednesday. The warship will have an assortment of weaponry, including a 130-mm gun, the Oniks 3M55 (SS-N-26) anti-ship missiles and the Poliment-Redut shipborne air defense system. The date of commission of a number of flagships for the Russian Navy has been postponed due to the necessity of conducting state tests on some of the new weapons systems, a source in the Russian military industrial complex said. Russia is continuing tests of an advanced frigate totally invisible to radar. A series of warships of this class are expected to be built for the Russian Navy, assistant Navy commander-in-chief Andrei Surov said. Eight ships and two subs will join the ranks of the Russian Navy by 2016 meaning that the arms procurement plan is running smoothly.